Beverly E. Walter, age 77, of Endeavor, PA, passed away on Wednesday afternoon, September 19, 2018 in her home surrounded by her family. She was born on April 25, 1941 in Hickory Township, Forest County, PA, daughter of the late Merton Henry and Geraldine (Walters) Littlefield. After retiring from Loranger International in Warren, PA, she enjoyed time with family. She loved her flowers and birds and enjoyed baking and canning. Her favorite time of year was fall. She was an angel sent from heaven and she will be greatly missed. She is survived by her children, Brenda Smith and her husband Dale of Spartansburg, PA, Shawn Bishop and Eric Walter, both of Endeavor, and Karla Burrows of Titusville, PA. Three stepchildren, Shelli and Kim Lane, both of Erie, PA, and David Lane of Warren. Many grandchildren and great grandchildren. Her brothers, Donald “Mert” Littlefield and his wife Marsha of Titusville and Leonard “Sambo” Littlefield and his wife Patricia of Sheridan, WY. Several nieces and nephews. In addition to her parents, she was preceded in death by her first husband, William Bishop. Her second husband, Ronald Walter. Her sister, Donna Jaqqi. Her son-in-law, Mike Burrows. Her grandson, James Burrows. 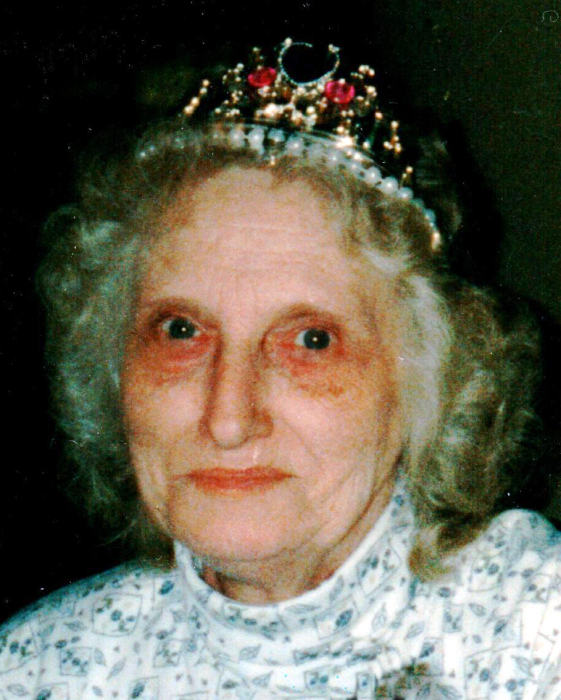 Her granddaughter, Laura Schmader. Her great granddaughter Kloey Burrows. There will be no public visitation. A memorial service will be announced by her family at a later date. Arrangements are under the direction of the Norman J. Wimer Funeral Home of Tionesta. The family would like to thank the nurses of Hospice of Crawford County: Kate, Cindy, Shelby, Stacy, and Rick. She loved you all. You made the last year and a half possible. Memorial contributions may be made to Hospice of Crawford County, 404 West York Street, Titusville, PA 16354.